Mentorship and guidance services for individuals who are re-entering society in Cowlitz County after incarceration. Scouts offers a series of developmental programs for youth and families designed to strengthen the family, empower individuals and neighborhoods, develop youth self-sufficiency, and provide prevention focus. Youth develop self-esteem, basic skills and knowledge, literacy, leadership skills, ethical decision making, community service, occupational readiness and life long learning. Cub Scout, Boy Scout, Venturing and Exploring provide youth with adult mentors on a weekly basis who develop these strong attributes. The Castle Rock Senior Center is a non-profit agency that operates and manages a facility for senior citizens in Castle Rock and the surrounding areas. Activities that occur are nutritional lunches, exercise classes, card games, pool games, educational seminars, entertainment, and craft classes. Other activities are planned throughout the year. Children’s Discovery Museum is a hands on, interactive museum right here in Cowlitz County. It started as a “pop-up” experience and with community and volunteer effort opened for regular hours at Three Rivers Mall in January 2017 for children and families to have a safe fun environment to engage in imaginative play, the arts, science, and culture and learn about the world around them. Favorite hands on exhibits include Farm to market, Safe on the water, Light shadows, Dance corner, Giant Lincoln Logs, Nature Niche, Wind tunnel, Harmonographs, Laser Challenge, Lego tables, Puppet theatre, book nook, and probably the biggest laughter and squealing generator our ping pong ball shower! CJAC is a program that provides advocacy, support, and forensic interviews for children who have disclosed physical and/or sexual abuse. In 2012 CJAC became its own 501 C3, allowing it to separate from the umbrella of the Emergency Support Shelter. A family resource center dedicated to promoting healthy parenting, strengthening families, providing information and education, and support to parents and families with children (emphasizing ages birth to age eight) with the ultimate goal of reducing child abuse and neglect. Community Health Partners (CHP) is a 501 (c) 3 nonprofit organization committed to improving access to free health, dental and vision care for the uninsured adults and children in Washington and Oregon. CHP has a free weekly urgent medical clinic, a bi weekly chronic clinic, a quarterly dental clinic, and a twice a year vision clinic that individuals without access to medical or dental care can come for immediate services free of charge. The CASA (Court Appointed Special Advocates) program provides trained community volunteers to act as the guardian ad litem for a child that has become part of the dependency court system due to abuse, neglect or abandonment. When Child Protective Service files a petition to initiate a child abuse (physical or sexual assault) or neglect case, they also file an appointment order for CASA. The primary purpose of CASA is to conduct an independent investigation and make recommendations to the court regarding the “best interests” of the child/children and assure that their needs are met and permanency achieved for them in a timely manner. The Community House on Broadway is a long-term Homeless Recovery Center which exists to provide emergency and transitional housing for homeless individuals and families; a minimum of nourishing meals, professional case management, innovative rehabilitation services; and a working conduit with existing social service agencies and spiritual support services within the community. The goal of the foregoing is to help homeless individuals and families return to housing and self-sufficient living. The Cowlitz-Wahkiakum Counties Legal Aid Program is a 501 (c) (3) corporation organized in 1999 and is supported by the volunteer efforts of local attorneys who provide free legal advice regarding civil matters to economically disadvantaged residents of Cowlitz and Wahkiakum Counties. Clients must be at or below 125% of the federal poverty guidelines to qualify for assistance. The program currently operates on a part-time basis. Our goal is to expand to a full-time program. The need is overwhelming but additional sources of revenue must be obtained in order to expand. The main funding source for CWLAP is a grant from the Legal Foundation of Washington. Emergency Support Shelter provides compassion, support and care for survivors of domestic violence and sexual assault as well as other crimes. Services include: shelter, individual advocacy, support groups, a parenting program, children’s therapy, legal and medical advocacy, education groups, transitional housing, home visitations, and outreach to the community. Emergency Support Shelter’s mission is to end domestic violence and sexual assault and to provide education, safety and support to our community. The Ethnic Support Council office provides individual assistance to clients that allows them to access services otherwise unavailable to them due to a language barrier, “the agency also provides assistance to non-English speaking victims of sexual abuse and domestic violence.” Bilingual staff members assist clients with employment applications, interpreters for medical appointments and many other services. The program goal is to facilitate the self-sufficiency in individuals and to allow or aid other social service organizations to effectively assist their clients with limited English-speaking abilities. ESC also provides community education on issues related to diversity and cultural issues. FISH of Cowlitz County is an all-volunteer nonprofit that helps people with financial emergencies. It works through churches to distribute food five days a week and FISH volunteers help people get other vital services. On an average day, a FISH church gives food to 102 people, and provides each one with enough food for nine meals. Hamburger and eggs, which FISH pays for, are always included. Each weekday afternoon a FISH volunteer helps people with a variety of emergencies — medications they can’t afford, overdue water bills, dental care, attire required for a new job, an eye exam and other services. FISH’s United Way grant supports FISH’s utility program, which helps families keep water and electricity turned on. The utility program also buys propane for heating and cooking. FISH of Cowlitz County was started in 1971, and it has never had an employee. Life Works has a thirty-five year history of building the capacity of individuals with intellectual and developmental disabilities and supporting their families so that all can thrive in our community; have meaningful jobs, live in conventional homes, be involved in the things they enjoy in the community, and feel respected for who they are. Born from The Arc, the agency is now re-affiliated with the National Arc and bears the chapter name The Arc of Cowlitz County. Programs include group homes, supported living services, job skill development and placement, an AmeriCorps program, and Advocacy, family support, and children's services and recreational activities. The focus for the future is to increase the integration of all people into the day-to-day activities of our community. The Positive Behavioral Support Team (PBST) program promotes pro-social classroom behavior for 3-5 year old Head Start / ECEAP children in Cowlitz County. The program is also targeted to improve three protective factors; initiative, self-control, and attachment. A team of two specialists will provide proactive and immediate assistance in classrooms with children exhibiting challenging behaviors. PBST will also provide more intense, one-on-one mental health services for identified children. This program is in response to staff and parent need, as documented by staff and parent surveys where 67% of teachers and 60% of parents requested additional training and support regarding challenging behaviors. Mission: Lower Columbia School Gardens (LCSG) empowers our community by connecting kids and families with real food and hands-on learning. Through dynamic garden and cooking programs, we cultivate health, equity, life-long learning, and stewardship of the world around us. The Friends of Longview Senior Center is a non-profit agency that operates and manages a facility for senior citizens in Cowlitz County and surrounding areas. Activities that occur are monthly dances, line dancing, card games, pool games, educational seminars, entertainment, nutritional lunches and craft classes. Other activities are planned throughout the year. Oxford Houses are self run, financially self supporting addiction recovery homes for those in recovery from alcoholism and drug addiction. There is a zero tolerance policy for those that return to alcohol or drug use (i.e. the resident is immediately expelled). Progress Center serves our community’s youngest, most vulnerable citizens, children birth to three with developmental delay. Services of therapy and education are provided in family homes, at our center and at the Monticello Park Assisted Living Center. All our therapy and education services are designed to assist our young students and their families to develop skills to their highest potential. St. James Family Center is a multi-service nonprofit agency which serves children, youth and families. United Way helps support several programs which nurture children and youth and strengthen individuals and families, including sliding scale infant/toddler care, preschool age child care, Early Childhood Education and Assistance Program (ECEAP) and preschool, Youth Adventure Program and Family Support Services including home visiting, parent support groups, parenting education classes and crisis child care. Funds for Strengthening Individual and Families also help support The Charlotte House, an 8-bed domestic violence shelter that is part of the state-wide system and is accredited by the state as a Community Sexual Assault Program. Catholic Community Services is a program that recruits, trains and supports people who want to make a difference in the lives of others and in their communities. Volunteers (individuals and teams) work to help keep low-income clients in their homes with dignity and meaningful connections to their communities for as long as is safely possible. VCS server two groups of low-income adults who don’t qualify for other assistance and don’t have family or friends available to help: seniors (age 60 and over) and disabled adults (age 18 and over). Services include housework, yard work, transportation, shopping, monitoring and wood provision. 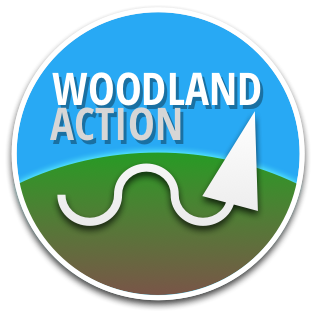 Woodland Action is a non-profit community action organization that believes in providing basic needs first to individuals, then applying capacity building programs that increase future success. Woodland Action has been around for 16 years and they have increased the quality of life throughout their community by developing essential programs in distribution of food, personal hygiene, and household Items. Through a partnership with Housing Opportunities of SW Washington and the City of Woodland, Woodland Action provides emergency housing funding, rental assistance, and overnight emergency shelter options for residents. Another key program of Woodland Action is The Emergency Supply Program which meets the needs of those in our community who are most vulnerable through providing tents, tarps, sleeping bags, alternative cooking sources, gloves, hats, boots, coats, and clothes. In 2015, Woodland Action opened a Thrift Store that provides job skills training and job readiness to the community. The YMCA’s mission is to develop building blocks for young people through our programs and activities that develop healthy and well-adjusted young people. Programs that we use are: Day Camp, Preschool, Youth and Teen Center, Swimming lessons (extended to Saturdays), Swim Team, Open Swim, and Youth Sports. We provide positive developmental experiences that surround youth with support, empowerment, boundaries and expectations, and opportunities for constructive use of time. To build a young person’s own self-worth we encourage education and positive core values (honesty, caring, respect and responsibility). Children have fun, grow personally and socially and become future leaders of our community. Call the YMCA direct to ask about additional camps that they provide! Youth and Family Link provides a broad array of community-based services to children and families in Cowlitz County. Link programs include Outreach and Engagement, Afterschool Programs, Mentoring Programs, Parent Peer Support and Mentoring, Community Recreation. 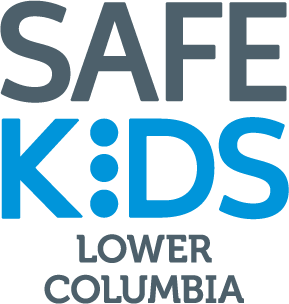 All Link services are available at no charge to low-income children and families of Cowlitz County.